Be sure to visit ASCE National at https://secure.asce.org/ASCEWebsite/Secure/SignIn/SignIn.aspx to update your contact information. Speaker, Chris Gibson, will present on the complicated part of a dredging project is not the harvesting of the material, rather the disposal of that material after it has been dredged. This presentation looks at the implications of new 2017 federal policy in North Carolina, potential solutions, and associated costs to the client. Mr. Gibson received a Bachelor of Science in Civil Engineering from North Carolina State University in 1992 and has 26 years of experience as a coastal engineer and hydrographic surveyor on east coast. With the aftermath of Hurricane Florence, we could not have ask for a more timely presentation than this: “When Disaster Strikes - The City of Fayetteville Response to Infrastructure Damage from Hurricane Matthew”. This presentation will discuss the impacts of Hurricane Matthew and the efforts taken by the City of Fayetteville to repair its infrastructure in the aftermath of the storm. The presenters are David Webb, PE, and John H. Larch III, PE. Mr. Webb is an Engineer for Freese and Nichols, Inc. located in Raleigh, NC. Mr. Larch is the Assistant City Engineer and Stormwater Manager for the City of Fayetteville. The Cape Fear Public Utility Authority will present on the issues related to unregulated compounds within the Cape Fear River. Please join us to hear speaker Mr. Chris Gibson, PE, discuss the future of dredging along our coastal Atlantic intracoastal waterway. Mr. Gibson brings 26 years of experience as a Coastal Engineer and hydrographic surveyor on the East coast. He’ll discuss more in depth the complicated part of a dredging project is not the harvesting of the material, rather the disposal of that material after it has been dredged. This presentation looks at the implications of new 2017 federal policy in North Carolina, potential solutions, and associated costs to the client. Please join us for this presentation addressing the current code requirements, analysis, and mitigation techniques for liquefaction settlement. Our speaker is Meredith L. Long, P.E. a Project Manager at Hayward Baker. Ms. Long is a Professional Engineer and head of Hayward Baker’s earthquake drain division based out of Charleston, South Carolina. Before joining Hayward Baker, she was a consulting engineer for over 10 years. Currently, Ms. Long is also an adjunct professor in Geotechnical Engineering at The Citadel. Outside of work, her time is mostly spent trying to keep up with her 3 children (all boys) and husband (whose inner child is ever present). Description: Out of The Box Solutions that save your project money. Speaker: Andrew Isenhour, PE - Tensar International Corporation, Inc.
2012 – Regional Manager – Tensar International Corporation, Inc. Please join us for our annual Joint Engineering Societies Meeting. The presentation is titled "Brunswick County – The Challenges and Opportunities of a Growing Community". David Hollis has both a Bachelor's and Master's degree from NC State in Civil Engineering and a MBA from UNCW. David has worked as the Town Manager of Leland since November 2011. Prior to working with the Town, he was in private practice for 4 years with WK Dickson, URS, and self-employed. He has also worked for New Hanover County as Chief Project Engineer, East Coast Engineering as Civil Engineer, and Brunswick County as Water Resources Superintendent. David is a licensed Professional Engineer and holds State Certifications in Water & Wastewater Treatment, Distribution, & Collection. Our presenter, Drew Turner (Concrete Supply Co.), was recently awarded the National Ready Mix Concrete Associations 2018 “Promoter of the Year”. He is a member of the Carolina Ready Mix Concrete Association and sits on their Legislative and Promotion committees. Prior to working for Concrete Supply Drew worked 13 years for EP Henry (concrete manufacturer in the northeast) as a Regional Sales Manager, an active board member and committee head for the Pennsylvania Concrete Masonry Association and 4 years with Propex (Global Manufacturer of Polypropylene related products: i.e. Geotextile Fabrics, and Fiber reinforcement for concrete) as a Regional Business Manager responsible for most of the East Coast and Eastern Canada. Mr. Turner will be discussing how concrete parking lots primarily accommodate parked vehicles, but may also provide maneuvering areas and access for delivery vehicles. 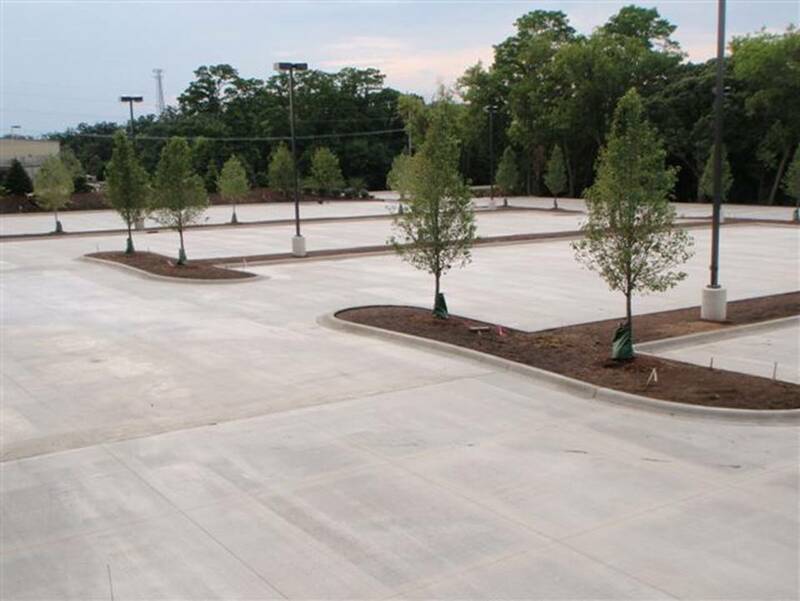 This presentation focuses on the design guidelines per ACI 330 for construction of concrete slabs for parking lots and outside storage areas. A good design needs to take into account site investigation, adequate thickness, joint layout and details, durability considerations, paving operations, and quality assurance procedures during construction. The Cape Fear Post of the Society of Military Engineers (SAME) and the Coastal Branch of the American Society of Civil Engineers (ASCE) are having a Collaborative Young Member Event at Front Street Brewery, Wilmington, NC. On the coast, Young Member is a state of mind so please feel free to join regardless of your age. This is a great opportunity though for you to encourage the younger members of your staff that would not normally participate in the monthly meetings to come out and network with other members of the engineering community in the Wilmington area. Your ASCE Coastal Branch takes off June, July, and August so we too can spend time at the beach. See you in Sept! The ASCE Coastal Branch will be hosting our monthly meeting on Tuesday, May 8th “after work” at Front Street Brewery, 9 North Front Street, Wilmington, NC 28401. The time for this meeting is 4:00 to 5:30 PM and we will be upstairs. Please note that this meeting is still at the new location and a new time and will not be held at our other location at the EDC in Wilmington. This location is conveniently located in downtown Wilmington with parking nearby. For those who have not figured it out, the best parking is the parking garage entered off Market, just before Front Street. It is only a couple bucks and there is a short cut through an alley right across Front Street from Front Street Brewery. Municipalities, land management agencies and large development planners are looking for ways and tools to keep projects below BUA (Built-upon Area Credit) for high density projects and for ways to reduce the volume of the SCMs (Stormwater Control Measures) that govern the balance of these dense projects. 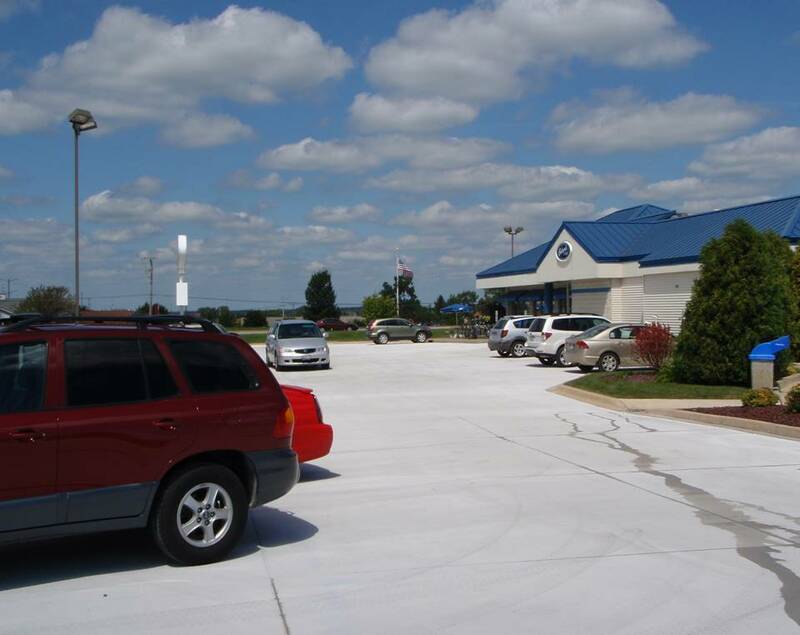 For existing projects, pervious grid pavers incorporated in driveways, parking lots, roads, road-shoulders, etc., can allow adherence to development covenants, SCM designs, and permit conditions. The April 6th, 2017 revisions in the NC Stormwater regulations drive design considerations to permeable solutions. City, county and a range of river, estuary, and creek erosion and nutrient control strategies are focusing on pervious solutions for slowing down road runoff and a range of stormwater concerns. 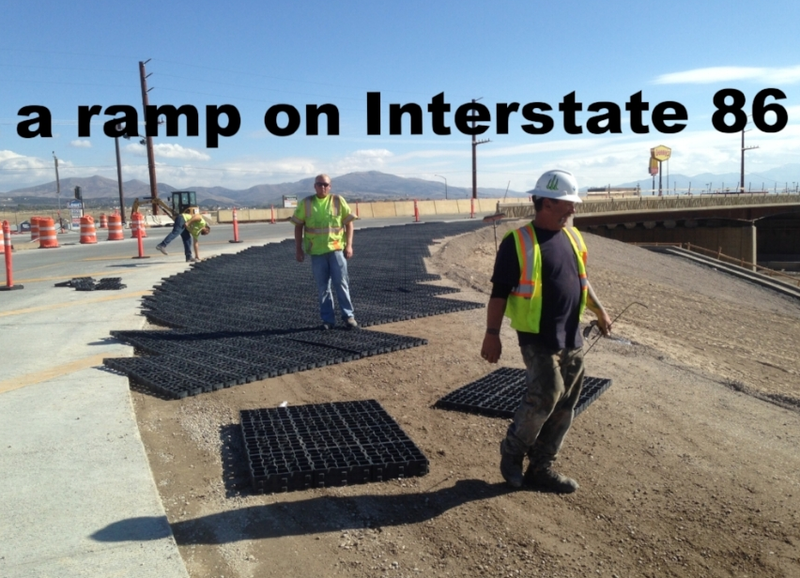 Let’s talk: eliminating stormwater ponds, pervious road-shoulder repair and the impact on nutrient loading , drainage culvert protection, pervious rail/road pavement exchanges, highway median emergency U-turn strips, FEMA-worthy temporary roads, reusable construction site roads, high point load/live load distribution and important product design, product materials, and proven technology. Chris Yerkes is president of the distributor for the Ecoraster line of permeable grid products in the Carolinas. He holds an unclassified North Carolina general contractor's license. Slate of Candidates for 2018 -2019: Justin Gibson – President; Mark Arcuri – Vice President; Lloyd Young – Secretary/Treasurer; Kate Eames and Brooke Bowden – Branch Representative (2). Election will be held at this meeting. Life Members: A short presentation will be held to acknowledge four(4) Coastal Branch Members who have reached Life Member status. If you plan to attend, please RSVP – lloyd_young@sbcglobal.net by then end of day on Friday, May 4th. We need an accurate count for this venue and we will be charged for no shows!! I will acknowledge all responses. If your plans change, please cancel by May 7th at Noon, so we can let the venue know. For your added convenience, we have added a PayPal link to allow advance payment using your free PayPal account or a credit/debit card. Go to www.paypal.com to sign up. To use the link and pay the $20.00 fee - Please click HERE We will still accept cash or checks at the door. The ASCE Coastal Branch will be hosting our monthly meeting on Tuesday, April 10th “after work” at Front Street Brewery, 9 North Front Street, Wilmington, NC 28401. The time for this meeting is 4:00 to 5:30 PM and we will be upstairs. Please note that this meeting is at a new location and a new time and will not be held at our other location at the EDC in Wilmington. This location is conveniently located in downtown Wilmington with parking nearby. For those who have not figured it out, the best parking is the parking garage entered off Market, just before Front Street. It is only a couple bucks and there is a short cut through an alley right across Front Street from Front Street Brewery. Will discuss multiple technologies for concrete repair solutions, the application methods for these products and what to watch out for when specifying concrete repair. Zach has been in commercial construction for 11 years and has been with BASF for 4 years. He specializes in concrete repair and protection methods. Special Speaker: Ms. Daniela Ivonne Garcia-Garcia. Ms. Garcia-Garcia in the winner of the 2018 ASCE Coastal Branch Scholarship. She is a Civil Engineering student at UNCW in the NC State 2+2 program. She will speaking on why she wants to be a Civil Engineer. Slate of Candidates for 2018 -2019: Justin Gibson – President; Mark Arcuri – Vice President; Lloyd Young – Secretary/Treasurer; Kate Eames and Brooke Bowden – Branch Representative (2). Election will be held at the May meeting. If interested in self nominating for any position or adding a interested member, please contact Justin Gibson prior to the April 10th meeting, when the nominating process will close. If you plan to attend, please RSVP me – lloyd_young@sbcglobal.net by then end of day on Friday, April 6th. We need an accurate count for this venue and we will be charged for no shows!! I will acknowledge all responses. If your plans change, please cancel by April 9th at Noon, so we can let the venue know. The ASCE Coastal Branch will be hosting our monthly meeting on Tuesday, March 13th “after work” at Front Street Brewery, 9 North Front Street, Wilmington, NC 28401. The time for this meeting is 4:00 to 5:30 PM and we will be upstairs. Please note that this meeting is at a new location and a new time and will not be held at our normal location at the EDC in Wilmington. This location is conveniently located in downtown Wilmington with parking nearby. The acceptance and use of ground improvement for foundation support and liquefaction mitigation are growing by the day. However, conflicting design theories and guarded proprietary techniques can often create confusion for designers, owners, and general contractors when approaching projects involving ground improvement. This presentation is intended to shed light on the design and field application of these techniques. A mixture of history, technical theory, and practical construction case studies, this presentation aims to open the “black box” that is ground improvement and provide the listener not only with tools better navigating projects with techniques of this sort, but to provide a true theoretical understanding of them as well. If you plan to attend, please RSVP me – lloyd_young@sbcglobal.net by then end of day on Friday, March 9th. We need an accurate count for this venue and we will be charged for no shows!! I will acknowledge all responses. If your plans change, please cancel by March 12th at Noon, so we can let the venue know. The ASCE Coastal Branch will be hosting our monthly meeting on Tuesday, January 9th “after work” at Front Street Brewery, 9 North Front Street, Wilmington, NC 28401. The time for this meeting is 4:00 to 5:30 PM and we will be upstairs. Engineers Without Borders USA builds a better world through engineering projects that empower communities to meet their basic human needs. Members from the NC State University Student Chapter will discuss the projects they are doing abroad and locally. Rahul Kathard is a senior in the Biomedical Engineering Program at the Joint UNC NCSU Biomedical Engineering Department. He has been involved with Engineers Without Borders since his freshman year and has served as Local Projects Lead as well as President since his sophomore year. Through EWB he has found a way to assist in both local and international communities to create sustainable change across the world. Michelle Lishner is the Vice President of NCSU’s Engineers Without Borders chapter. She is truly passionate about taking care of our planet and the people on it. She engages in Engineers Without Borders because she has the parallel goal of ensuring that all people have their basic human needs met using sustainable technology. To Michelle, the marriage between creating direct engineering solutions and helping people around the globe is invigorating. By harnessing bright minds from NCSU and the local community, she looks forward to changing the way international sustainability is done. If you plan to attend, please RSVP me – lloyd_young@sbcglobal.net by then end of day on Friday, January 5th. We need an accurate count for this venue and we will be charged for no shows!! I will acknowledge all responses. If your plans change, please cancel by January 8th at Noon, so we can let the venue know. Join us at Porches Cafe' for our AWAY December meeting at the River Bluffs Development. Location is 1100 Chair Rd. Castle Hayne, NC 28429 and cost is $20.00 including lunch. The subject of the presentation is "Success by Minimizing the Impact" and the speakers will be Lauren Kolodij, Burrows Smith, Howard Resnick, and Mike Randell. Email Lloyd Young at Lloyd_young@sbcglobal.net to RSVP (required) or for more info. The May 2017 lunch meeting of the Coastal Branch will be held at the NHC Executive Development Center at 1241 Military Cutoff Road in Wilmington. Lunch and registration starts at 11:30am and the presentation starts at noon. This month Mr. James Flechtner, Executive Director, Cape Fear Public Utility Authority will speak on "Avoiding a Crisis - Repairing a Raw Water Main Break." This break occurred in October 2016 and affected the water supply for over 300,000 people in the area. Please RSVP to justin.gibson@adspipe.com by May 5th EOD. This meeting will also include election of Officers for the year starting in September 2017 (please come and vote) and the presentation of a Life Member Certificate.